Hanukkah (“dedication”) is the joyous eight-day celebration when we commemorate the victory of the Macabees over the armies of Syria in 165 B.C.E. and the subsequent liberation and “re-dedication” of the Temple in Jerusalem. 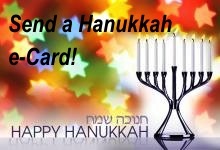 We celebrate by lighting one more candle on the hanukkiah after each day of Hanukkah. 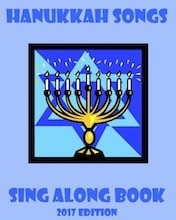 We eat foods cooked in oil, such as latkes and sufganiyot (jelly doughnuts); and we sing songs and play dreidel games. Check out our calendar for the dates and times of our Hanukkah services and celebrations.